As you celebrate the birth of Jesus, take some time to reflect upon the relationship between the incarnate love of God and the church’s responsibility to care for the fatherless. Ultimately, it is God’s incarnate love that moves us outward “to visit orphans in their affliction” (James 1:27). The love we celebrate at Christmas is the love that cares for orphans. “Through the coming of Jesus Christ into the world as the only begotten Son loved by the Father, the Love which flows eternally between the Father and the Son in the Holy Trinity has moved outward to bear upon us in history and is made known to us above all in the sacrificial love of Jesus in laying down his life for us” (Torrance, The Christian Doctrine of God, 165). 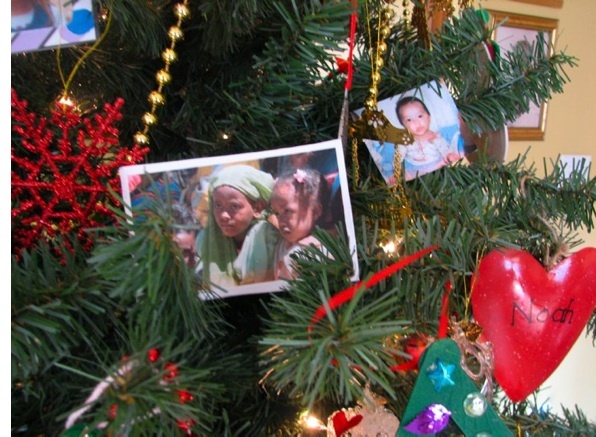 One of the things that our family has done to help us connect the dots between God’s incarnate love and our care for orphans is to place pictures of orphans on our Christmas tree. The love that moved outward to bring us near, to bring us into the household of God (Ephesians 2:19), is the same love that moves us outward to care for those who are without hope and home in this world.